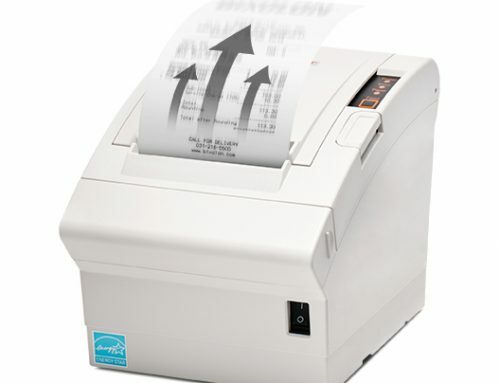 MAXStick Products Ltd., industry leading global suppliers of direct thermal, liner-free, removable adhesive labels, is proud to announce that they have received certification from BIXOLON for the use of MAXStick® on the SRP-S300 liner-free label and receipt printer. The certification covers the complete line of MAXStick® Liner-Free Label Products. 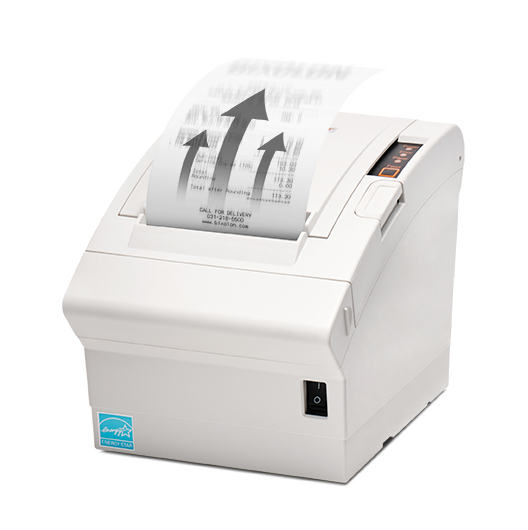 The “higher performance and lower TCO” SRP-S300 is the world’s first liner-free label printer equipped with specialized back-feed technology. The printer offers support for five media width choices (40mm, 58mm, 62mm, 80mm and 83mm) and includes an enhanced paper saving mode to reducing label usage by up to 25 percent. 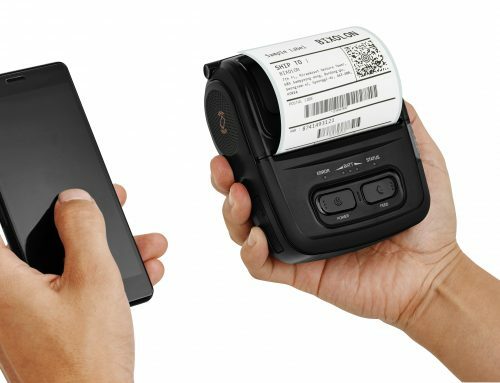 The SRP-S300 also features BIXOLON’s signature anti-jam technology and a built in voice error notification system that alerts users of immediate issues. 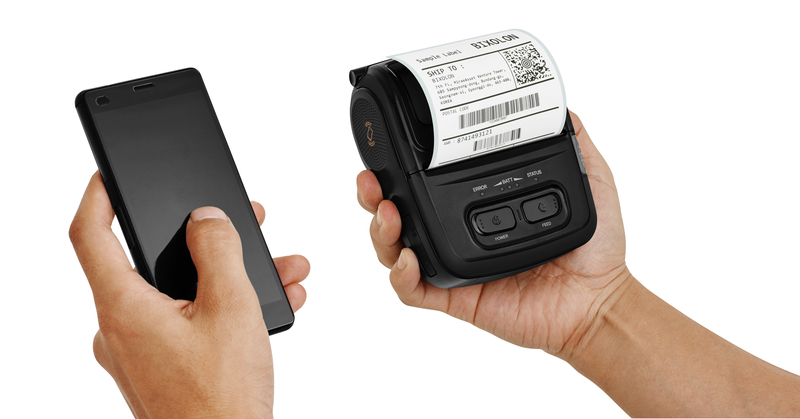 The certification is the second by BIXOLON, joining the certification of MAXStick® on the SPP-R200II mobile printer. The Bixolon SRP-S300 is certified to work with the complete line of MAXStick Products which includes MAXStick Premium, MAXStick2GO, MAXStick Colors, MAXStick Plus, MAXStick X2 and MAXStick X2 Colors. Crafted with a unique “removable and restickable” adhesive formulation, MAXStick® liner-free labels are an environmentally friendly labeling solution that is recyclable, silicone free and Bisphenol Free (BP-Free). MAXStick® is currently utilized in a diverse range of applications and industries including food service/hospitality, warehousing, libraries, retail, parking, reusable plastic containers and medical diagnostics. About MAXStick Products: MAXStick liner-free direct thermal label products are produced by Max International Converters, Inc. under a licensing agreement with MAXStick Products Ltd. MAXStick Products are distributed worldwide by MAX International and affiliated partners MAXStick is a registered trademark of MAXStick Products Ltd.
About BIXOLON: BIXOLON is a leading global manufacturer of dependable innovative and advanced printing technologies that include POS, Auto ID and Mobile receipt & label printers for a range of environments. BIXOLON views its printing technology as an essential tool for any business and holds itself to the highest standards since dedication to customers is its core belief.